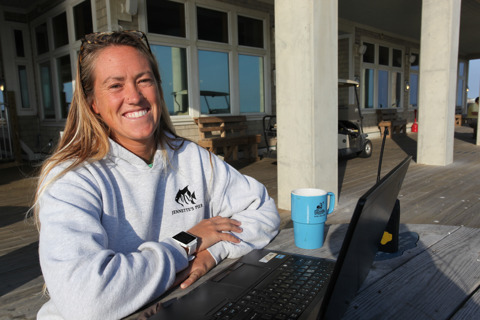 Since re-opening in May 2011, Jennette's Pier in Nags Head has educated more than 10,000 students of all ages. The educational programs are designed to provide students with hands-on learning experiences that produce long-lasting memories. From exploring beach environments to wind energy experiments, a number of varied programs are available to suit your needs. Our programs are based on Science, Technology, Engineering and Math (STEM) Common Core and Essential Standard guidelines. Here's what some folks are saying: "They loved the wind turbine project!" "The teachers were great while interacting with the students!" "My children had a great time and learned a lot of new things!" Beach Erosion on Barrier Islands -- The Atlantic Ocean is a dynamic ecosystem that is driven by currents, winds, waves and tides. Daily or even hourly these forces change causing sediments to shift and move along the shoreline. In this program students will learn about what causes beach erosion and the impacts it has on barrier islands. 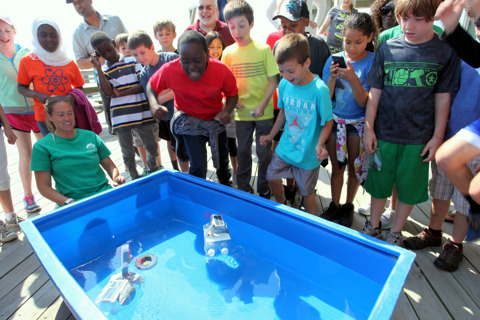 The program includes an opportunity to view how erosion works using our wave tank, “Spencer’s Beach,” provided by Sea Grant, followed by a lesson on the beach were students profile the shoreline. Beach Explorations: Students discover all the various types of animals that call the intertidal zone home. Climate Clues (STEM): Discover greenhouse gases and their role in the atmosphere. Explore the impact of ocean acidification on marine organisms and learn what happens to the ocean's waters as carbon dioxide increases in the atmosphere. This program includes three short labs related to each topic. Ocean Currents: Students discover how convection currents work and why they are important in a marine ecosystem. The program includes a lab where students learn about density and why this is an important factor that drives currents. Pier Fishing 101: Learn the basic skills necessary to catch a fish. 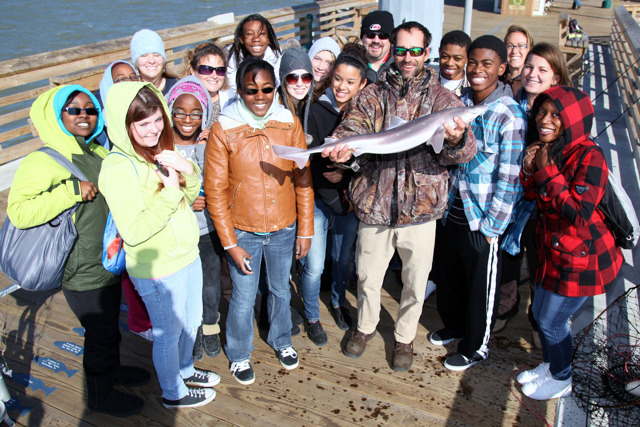 Students learn how to cast, reel and the proper catch and release techniques, while fishing on the pier. All bait, tackle and rods are included in the lesson. Plankton Investigations: Students learn how to use scientific instruments and discover the microscopic organisms that are vital to the marine food chain. Solar Science (STEM): Discover and discuss solar power as an energy resource. Students design, build and evaluate a solar device and discover how solar panels maximize efficiency. In this program they construct solar cars or airboats. 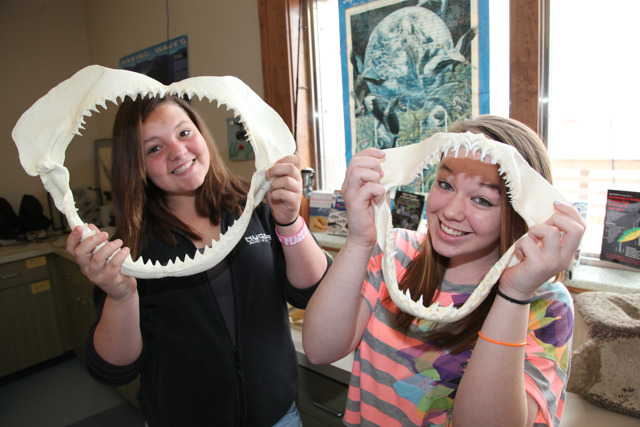 Sounds of the Sea: In this program, students discover how important sound is to ocean animals and what sounds are made by our largest to smallest marine organisms. 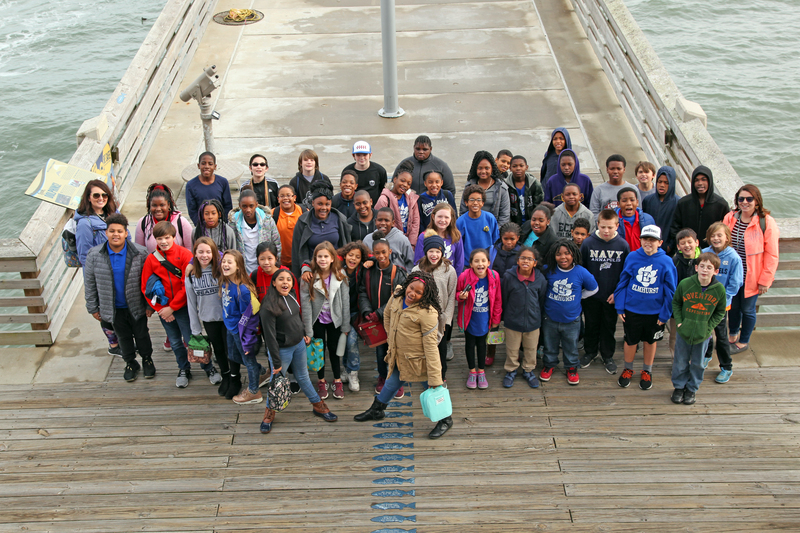 After exploring a multitude of sounds in the classroom, they have the chance to deploy their own hydrophone over the side of the pier and see if they can determine what makes all the different sounds. Together, we will collect and analyze all the sounds of the sea! Squid Dissection: Students will investigate the intricacies of structure and function of this unique organism. Exploring the Water Cycle (STEM): Students have the opportunity to learn processes in the water cycle. Discover evaporation, condensation, and run-off through hands-on experiments. In this program, learn how water is naturally filtered and why soil is so important in this process. Wonders of Wind (STEM): In this program students learn how to harness energy from the wind, advantages and disadvantages of wind energy, the importance of clean wind and ideal locations to install wind turbines to maximize energy output. Through construction of their own “turbine” and discussions about alternative energy, participants in this program gain an understanding of how this technology works and its importance for future energy generation. Public and private school students from kindergarteners to high school seniors (K-12), home school children, school clubs, college groups, scouts, adult education and teacher training. Individual programs last approximately 45 minutes to one hour. Program and rotation outlines are provided once all programs are selected. Rates vary based on quantity and program types. Upon arrival, please have your group wait outside until Pier staff meets and greets you. 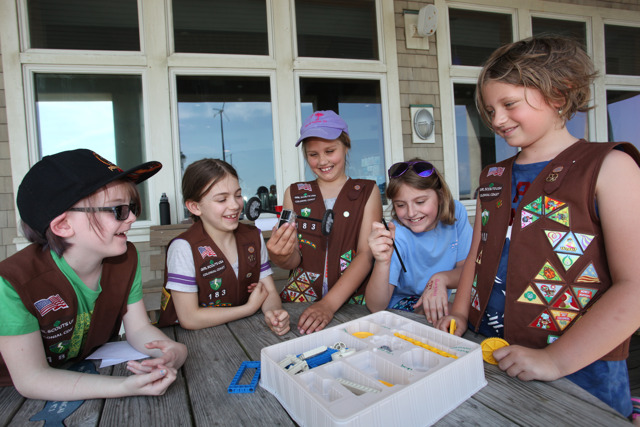 Pier education staff will greet the group outside to review the rules and other pertinent information, and help guide your group to the appropriate programs. The Pier offers accommodations for persons with disabilities including handicap public parking and beach wheelchairs. Prior to your visit, please contact the Education Department to request special accommodations. Jennette's Pier does not have a restaurant. The N.C. Aquarium Society operates a gift shop with snacks and drinks but it is recommended groups pack a lunch. If planning to enjoy lunch on the Pier, please inform the Education Department prior to your visit so we can designate a place to store the lunches. We encourage you to visit the gift shop which offers nature-related books, games, toys, and gifts and an assortment of snacks and drinks. When entering the gift shop, please limit group size to 20 patrons at a time.